Climate Lessons: 'Facts, Not Fear': an excellent book for helping you to help your children deal with climate-scaremongering and other eco-propaganda. 'Facts, Not Fear': an excellent book for helping you to help your children deal with climate-scaremongering and other eco-propaganda. 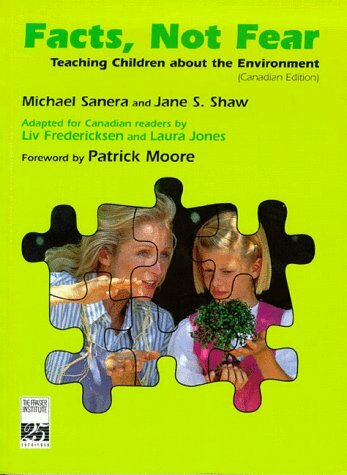 Aimed at parents and teachers, this excellent book shows the way to take the sting out of the facile alarmism pushed at the young on climate and other fashionable eco-topics. First published in 1996 in the States, 'Facts, Not Fear' is bristling not only with counter-arguments to defuse alarm, but also with a structure which could be readily adapted and built-upon for use elsewhere. Dozens of copies are available on Abebooks. In 1999, an edition customised for use in Canada was published with lots of local examples to help readers engage with young people and encourage them to take a wider view than those typically presented by zealots promoting alarm for their cause of the day. This edition is shown on the left and can be obtained via Amazon from various dealers. I intend to share extracts from this book in further posts.